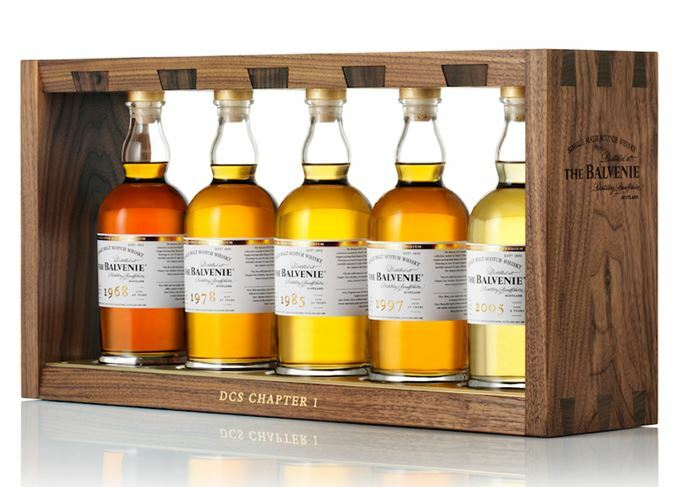 A special batch of tasting notes from Chief Engineer Dave Broom to mark the release of Chapter One of Balvenie's DCS Compendium: five single cask single malts marking the distinguished career of David Charles Stewart, Balvenie malt master. This first batch is designed to illustrate the theme of 'Distillery Style'. Fresh, sweet, almost sugared fruits. Some white peach, with a hint of dry grass behind. Runny honey on hot pancakes, then stamp glue, hazelnut oil and the wonderful aroma of fresh emulsion paint. Rounded and gentle, with some apricot and a light prickle when neat. 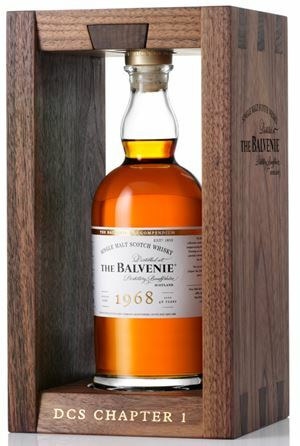 Citrus and clover honey give it a depth and slowness of character which is very Balvenie. Light acidity when neat. Fresh lemon and honey with water. 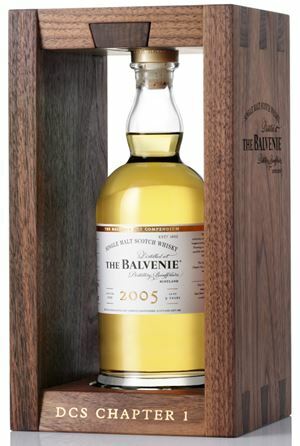 A lovely Balvenie, but it’s never £400 of lovely. Sadly, it’s the price of this bottle which will get the attention, rather than the overall concept. A day in the life of the Queen (who believes the world smells of fresh paint, eats honey every day and still licks the back of her own head). Fruity and elegant, moving into rich honey and heavy citrus (making tangerine marmalade), then a little touch of trifle, banana, fresh tropical fruits and cling (tinned) peaches before a drying – and balancing – element of blond tobacco and some linseed. With water, dry Oolong tea leaves. Sweet and deep. The honey now takes on the form of baklava with an added density. There’s an almost thick, vinous quality – old Savennières? – and in time everything becomes increasingly perfumed and heady. As it dries, some subtle spices emerge alongside runny toffee. Has that extra layer of complexity which separates the great from the very good. 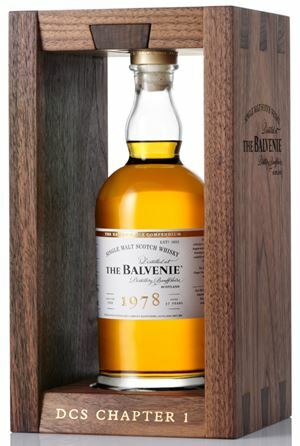 An awesome Balvenie but, again, steep for an individual bottle. I can understand selling this as a set – it would justify the price – but when you sell each bottle individually, you change the concept… and the focus. Relaxing with the lotus eaters. Sweet and gentle. More poised than the ’97. Some floral notes now begin to show themselves, as well as the undertow of sweet cereal which is apparent in all the bottlings. Acacia honey and nuts, praline, then candied orange peel and hard butterscotch toffee (McCowan’s – can you still get these?). Huge, ripe, almost sticky, and deep with elements of spiced honey, cinnamon and a taste of orange Spangles (can you still get Spangles? ), and then fresh almond. In time, a lovely oxidative nuttiness. Excellent balance. Smooth with a light malty note. This is Balvenie in gentle guise. Time travelling to a land of lost sweets. Layered and luscious. The biggest expression in the range, showing the most influence from the cask – though it is far from woody. Massive, generous, all-enveloping notes of clotted cream, Greek yoghurt with honey, then comes butterscotch Angel Delight, moving into barley sugar and Beaumes de Venise. Then has a fresh lift, like candied grapefruit. More creamy toffee, but also some sweet barley – the sensation of the malting floor – before the exotic fruits begin to build. There’s distinct waxy honeycomb on show in this luscious palate. Though there is light oak, this remains all about the distillery. A great single cask. Breaking into Winnie the Pooh’s secret honey stash and stealing a little smackerel. This is a fascinating one, which manages to be both welcoming and restrained. Almost Cognac-style fruitiness, fennel pollen, faded florals (pot-pourri). Its age is borne well and elegantly. More precise than the ’78, it has an almost sepia-toned quality to it. With a drop of water, some amaretto. The honey remains, but now it is the dried flowers and gentle fruits which are coming through. Mature. Fascinating. The immediacy and intensity of the tropical fruit come as a surprise after such a refined nose. The texture is slightly fragile, there’s a hint of smoke, a touch of Parma Violet before a delicate, perfumed (and pleasing) soapy element comes along. The flavours seem to fade, but somehow then persist – an echo of time. This has the classic purity of character which you only get from a whisky which has been given very relaxed, long maturation in refill casks. A magnificent old Balvenie. I was still tasting this an hour after the last swallow. Batch 11 16/10/2015 Six indie bottlings, featuring Aultmore, Benriach, Glen Grant, Glentauchers, Imperial and Linkwood. Batch 9 09/10/2015 Two bovine blends, surrealist art and a peaty finish feature in this week's selection of whiskies.